Want lower noise? Bump the ISO! It sounds like nonsense, but it is not. What I am talking about is action shots in low-light conditions, where the subject must be in focus and low shutter speeds are just not an option. Wildlife photography is a good example. We all know that the higher the ISO, the more noisy the picture. This is why bumping the ISO for no good reason is a mistake, as it will produce an image that could have been much cleaner if captured at lower ISO. That being said, sometimes there are very good reasons to bump the ISO well above our comfort zone. Some photographers freak out at the idea of shooting at ISO 400. For many, shooting at ISO 800 strikes fear of noise into their hearts. Certainly, most photographers (though not all) avoid ISO 1600 or higher unless they are shooting the Milky Way. As for me, in low-light conditions, I am very happy to push the ISO to whatever value it takes to avoid underexposing the shadows. I shot this scene in shutter speed priority (1/1250) with my Sony A77 Mark 2, an APS-C camera that features a translucent mirror (its full-frame sister is the Sony A99 Mark 2). The mirror is fixed and reflects some light up to a phase-detection autofocus sensor, thus reducing the amount the light reaching the camera sensor by about 1/2 stop. To make things apparently more challenging, my lens was a Tamron 70-300mm F4.5-5.6 Di VC USD. With a maximum variable aperture of 4.5-5.6, we can all agree it is not a fast lens. Now the key part: I decided to let my camera choose the ISO in the range 100-1600 and that resulted in a value of 1000. Do you find my image grainy? Do you see any significant loss of details due to noise reduction applied in post? Honestly, I don't. Here is the trick: I knew that, in such light conditions and with the settings indicated above, my camera was going to expose to the right - i.e. it would expose the highlights correctly. 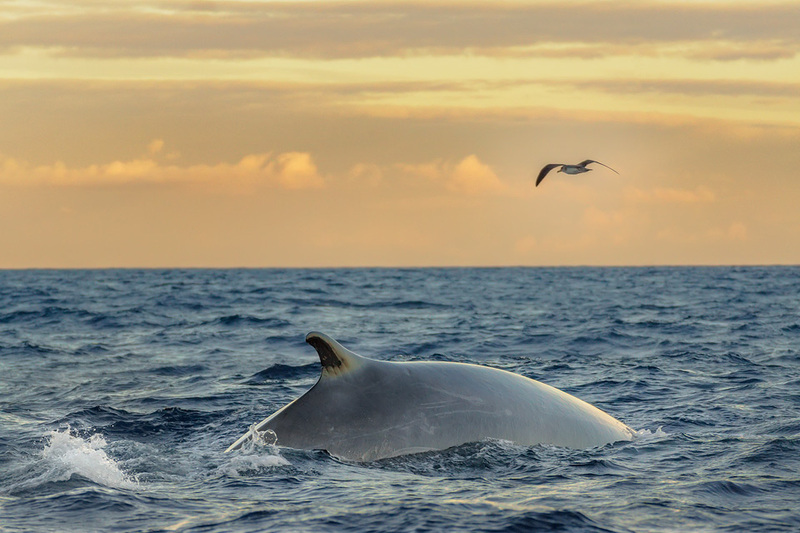 I knew I was exposing to the right because I checked the histogram before the Fin whale surfaced next to the boat. From the histogram, I also knew in advance that no part of the image was going to be underexposed. If your camera features an electronic viewfinder, like mine does, things are even easier because what you see through the viewfinder is basically what you get. At lower ISO, the image would have been significantly darker. And you know what? If you drastically open the shadows of a dark picture in post, the amount of noise introduced will often exceed the noise produced by shooting the same scene at a higher ISO value. 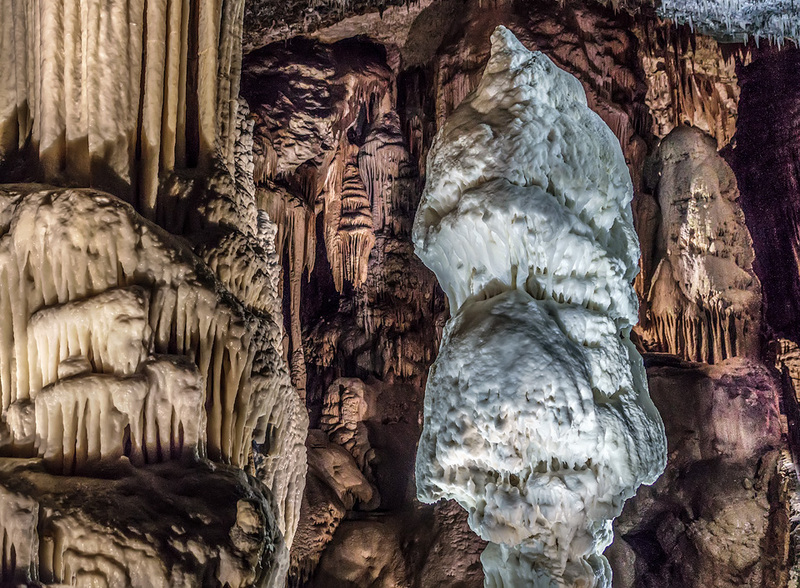 Below is an image I took at ISO 1600 in Postojna Cave, Slovenia. There is no action going on here but, since tripods are not allowed in the cave, I handheld my camera and managed to get a pretty sharp image at 1/20s (Light Bless In-Camera Stabilisation!). While the trick works in general very well, sometimes conditions are just too extreme and it becomes impossible to produce a usable shot (although how usable a shot is depends on what we want to do with it!). But you know what? When that happens to me, at least I know I would not have got a better exposure shooting at lower ISO.